According to our plan, We went to CLASS Kalanki and CLASS Halchok and we did parents meeting and we distributed School kit of the supported children. We discussed with parents and children about their education. 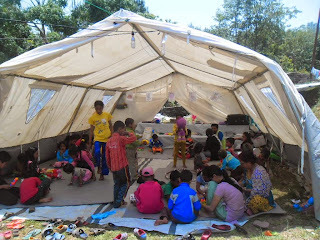 In CLASS Kalanki, there are 32 supported children and in CLASS Halchok there are 27 supported children. In our both CLASS center our LSA are taking regular classes and providing regular snacks. Children s are regular in the school because of the snacks.